Cynthia’s experience studying and teaching Practical Aesthetics, the script analysis & acting technique developed by playwright David Mamet and actor/director William H. Macy, over the course of the last 20+ years, gives her a unique ability to support actors, writers, and directors in bringing the story to its fullest potential. Whether you are an actor preparing for an audition or your first day on a new gig, a director prepping for your first rehearsal/day on set, or a writer looking to delineate each character’s individual arc, Cynthia will interrogate the script with you, help you articulate each character’s psychology, motives, and actions with specificity, and bring the third dimension of the character to light. Makes house calls to NYC moms. For taping services, Cynthia highly recommends The Tape Room (http://www.thetape-room.com); and Ted Sluberski Studios (http://tedsluberski.com), who also offers a killer weekly on-camera audition class. While Cynthia offers nuts-n-bolts business advice and career strategies for the actor, she also highly recommends the services of Capes Coaching (http://www.capesco.com) and their excellent Path Class to articulate your career vision, and devise an action plan toward your long-term goals. Cynthia is an exceptional teacher, director, and mentor. I looked forward to my classes and rehearsals with her and always left each class feeling fulfilled and inspired. Her insightfulness, compassion, and honesty made the room feel safe to take risks as well as challenging. Besides her skills as teacher/director, she is also a hilarious and wonderful person to share the room with. I loved listening to her anecdotes, stories about her previous work experience as a gifted actress, and motivational talks about what it takes to succeed in this tough industry. As I start my career as an actress, I often think of the things she encouraged me to do as well as carry her inspirational stories with me. Cynthia taught me how to apply specificity and rigour to my art form through reconditioning poor habits and showing me the depth needed to analyse works vigorously. Once these things were unlocked, magic happened within our classroom. 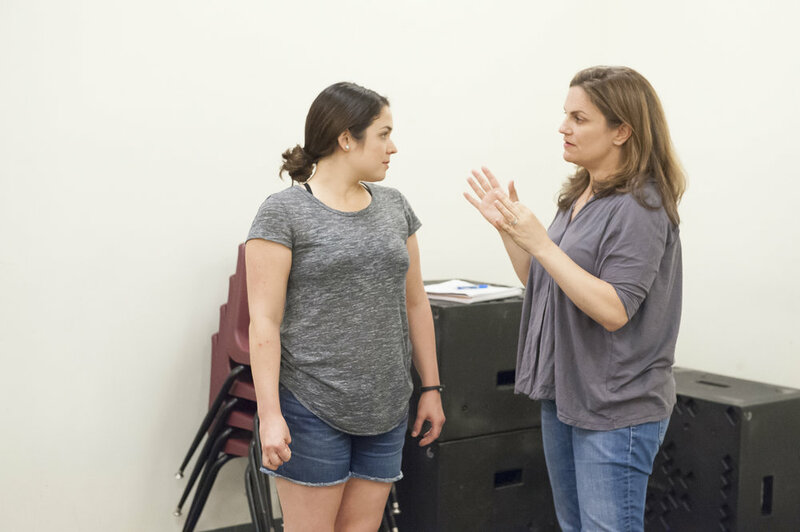 Cynthia is one of the best instructors I’ve ever come across in more than 10 years of acting training. Her passion, drive and expertise energizes the class and drove me and my peers to great leaps of growth. As well as being an excellent instructor, Cynthia is one of the nicest human beings walking around on the East Coast of America and was always available for a consultation or a chat. I met Cynthia in the second year of my training at Atlantic Acting School and WOW is the first word that comes to mind. Here is a teacher (and so much more) who gives you her complete attention and uses her expert analysis to pinpoint areas of struggle in your work - In the first day. Every time. For every student I saw her work with. Of course, Cynthia does not stop there, but pursues deeper with you to figure out what drives you and what challenges you, what disgusts and what enthralls you. This was the first class where I was encouraged to present a scene from a play I was writing at the time, and I cannot emphasize enough how bolstering to my artistic process it was to have such a professional work so earnestly with me on words of my own. When I think about the uphill climb all entertainers face when joining this field, I often will smile as Cynthia’s steadfast and realistic lessons come back to me. Her successes inspire those who know her to never settle, and to unleash their most specific and truthful performance.